This is why Jedi aren't allowed in the Olympics. please God, don't let it land on my toes! 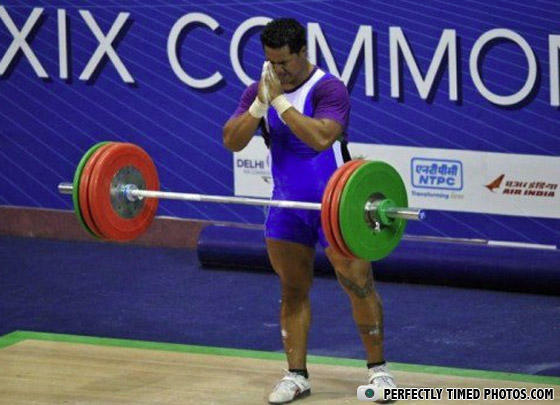 They call him the "Tebow" of weightlifting. Alexander put is hand together as he prepared to chop the bar in half. I think he forgot this is a BRUTE force competition not just a force contest. Why did the cop shoot his 4 year old son?